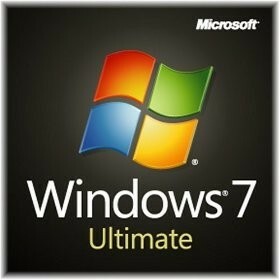 Welcome to Microsoft Windows 7 Ultimate, the most versatile and powerful edition of Windows yet. The newest version of Windows 7 Ultimate combines remarkable ease-of-use with the entertainment features of Home Premium and the business capabilities of Professional. A great new feature in this program is Windows XP Mode, which allows the ability to use Windows XP productivity programs in Windows 7 Ultimate. Also, for added security, you can encrypt your data with BitLocker and BitLocker To Go. Get it all with Windows 7 Ultimate. Desktop has improved taskbar previews, bigger icons, pinning and creative ways to personalize. HomeGroup now takes the hassle out of home networking, so you can share files and printers. Jump Lists allows fast access to your favorite documents, pictures, songs and websites. Snap is a new unique way to resize and compare open programs and documents on your desktop.